The BC Harmonization Project Team is made up of The Canadian Cancer Society, the BC Cancer Agency and Northern Health along with researchers at the University of British Columbia and Athabasca University. They are collaborating on an exciting new program and research initiative funded by the Canadian Cancer Society. Building Bridges for Collaborative Success is a resource for organizations seeking to build sustainable partnerships through the power of collaboration. 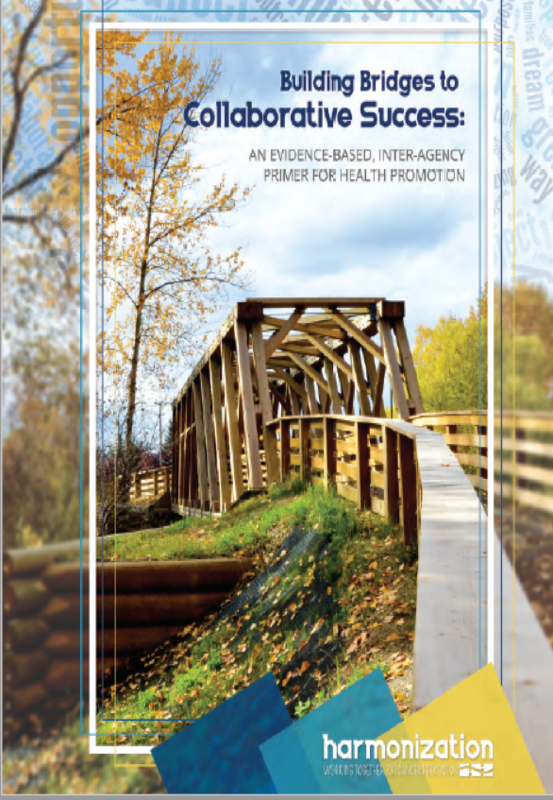 Evidence-based and aptly named a primer, the resource is the result of 4 years of collaborative health research between the Canadian Cancer Society, BC Cancer Agency, Northern Health, University of British Columbia and Athabasca University, termed the Harmonization project.